Millet is organic, great for the environment, a boon for farmers, a rich source of vitamins and whole grains, and you can make everything – from popcorn to roti’s – using it. Why isn’t everyone running out to get millets to eat them? Millets are among the oldest grains and it serves immensely to human life. Are you suffering from obesity? Are you worried about your sugar level? Start having millets and you will be amazed with the results. Millets have been a basic part of Indian food since the time we were presumably developing wild rice. There are references made in the Harappan Civilization to millets being ground to make roti’s. Truth be told, as of late as the 1970s, an extensive variety of millets were staple food at Indian homes. 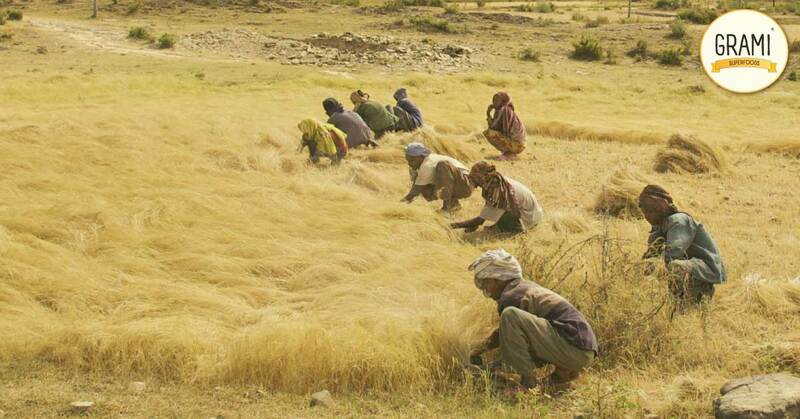 Millets are as crucial to nature and our farming frameworks as they are to our way of life. They are solid crops that flourish in extremely hot and dry atmospheres, even in unfertilized soil. In conventional cultivating rehearses, millets are developed nearby different products like pulses and oilseeds, making the procedure all-encompassing. India remains the biggest consumer of millets around the world, yet we have progressively delivered less – since the Green Revolution, more than 44% of millet development territories are presently involved by monoculture crops, for the most part, paddy rice, and wheat. Foxtail millet (navana), pearl millet (sajje), finger millet (ragi), little millet (saave), proso (baragy), rajgeera (grain amaranthus), barnyard millet (oodulu), orghum (jowar) – the names sound exceptionally colorful. Yet, what precisely are these amazing grains and how are they not the same as the grains we are so used to see on our tables? Now, why should we use millets? In the modern era, there are plenty of grains but among all of them why millets are the best? Let’s see. 1. Helps in diet : Rice, wheat or millets all come from grain family. Then what is the special need for this? Well, the answer is millet helps you reduce extra body fats and decreases the chance of diabetes. Moreover, it gives you a different flavor to our food habits. 2. Nutrient Powerhouses : Millets are profoundly nutritious, non-glutinous and non-acid forming foods. They are consequently relieving and simple to process. By every nourishing parameter, millets appear to race in front of rice and wheat. As we think about a large number of ways of life ailments, it may be applicable to re-assess our food selections. Millets are gulped as entire grain foods, in their unpolished state. Rice and wheat again not just miss out on their dietary values while being polished but on the other hand are high on the Glycemic Index. Millets discharge a lesser rate of glucose and in a long time and therefore bringing down the danger of diabetes. 3. Positive impact on the environment : It is, of course, nutritious and healthy, it is environment-friendly and also supports the pockets of the farmers. For example, millets need very less water compared to others and demands only manure and bio-fertilizers. This amazing feature makes millets compliant crops for climate change.